You can have an almost endless supply of frames to match your pages with this element pack. 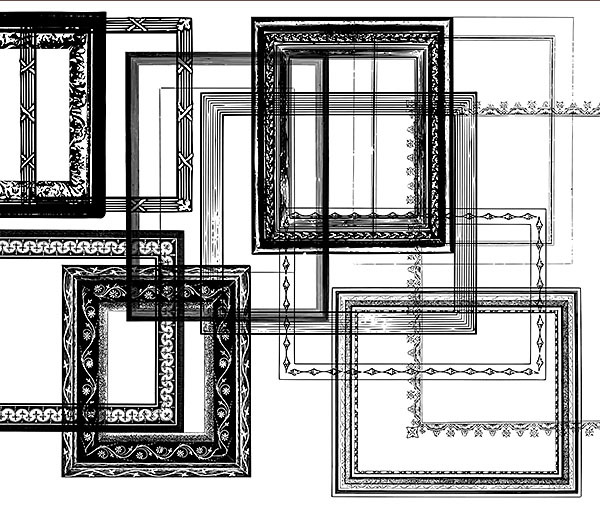 As well as 10 readymade png frames, it includes the black stamped outlines (as pngs and abr brushes) so you can make your own frames, or stamp over the top or around photos. These digital products are saved at 300 dpi.